To recreate this soup, be sure to check out my recipe. More funsies in due time. It’s all been delayed due to moving. Speaking of which, my move to Boston has been easy, expensive, but easy, however, settling into Boston is a whole other story & not much of it is positive. Let’s just say, a certain postal company (FedEx) was terribly incompetent about delivering my mattress (said they tried to deliver, but didn’t buzz me while I was sitting at home the entire time for 4 days in a row WAITING for my bed to arrive), which resulted in 4 straight nights of painful urban camping via my friend’s couch, the floor, two chairs put together, & atop my bed-less bed frame. Realistically, the only way they’ll be removed from my “Poopheads List” is if they send a complimentary masseuse & a box of chocolates to my apartment. Obnoxious gift request for an obnoxiously awful service. I was 10/10 feeling so Fed Up with FedEx. It could always be worse & I’m thankful I’m not homeless, but for pete’s sake, how hard is it to ring the doorbell?!?! The lesson learned from this experience is really simple: use UPS. I’m half-kidding. The real lesson from avoiding an incident of nonexistent deliveries of necessary items is to contact the carrier, giving them explicit instructions on how to handle your package if you’re absent, ask them the approximate delivery time, & use a company you absolutely trust. In addition, if you’re moving to a place that has a property manager off-site or on-site, call them & ask if it’s okay that they sign for your package. If your property manager is off-site like mine is, it’s probably best if you change the delivery item to their address & figure out a way to get it to your apartment. Communication is key whether you’re in a relationship or talking to the customer service agent at FedEx. I wanted to punch a hole in my wall when I got an update telling me my 57 lb. (26 kg) package was to be held for pickup in Wilmington, MA, population 2000. Have I mentioned that I’m carless in Boston? Or that I weigh less than twice the package & I’m stupidly weak? Yeah…here’s hoping that my bed has arrived by the time I return home from my New Haven trip with Josh or … TIFFANY SMASH. His birthday week has been the highlight of my trip to the East Coast so far – 80% because of free hotel stay & comfy bed, 20% because Josh. Totally kidding, Josh is always 100% the reason for a great trip. Happy birthday to the Noodle King! What is your culinary specialty? If you’re not much of a cook, what do you wish your culinary specialty is? Why isn’t it? Cooking isn’t hard, just do it! Only you are in the way of mastering your specialty. This has been my favorite post of yours so far! Thanks for making my birthday so special and for introducing me to food I’ve never eaten before (cue “A Whole New World”). Keep up the great blogging and photographs almost as beautiful as you are. Best of luck in your new adventure in Boston, Bee! Thank you & you’re absolutely welcome, love! Looking forward to seeing you soon. Ah, delivery companies saying they’ve buzzed when they haven’t. The amount of times this has happened to me is a joke. It’s okay if I can go and pick it up from the postal office but most companies make you rearrange your delivery date. I feel for you. Noodles are awesome because there are so many dishes you can make with them. There are specific ethnic noodles for every part of Asia from glass noodles to pho noodles/banh canh to pad thai noodles to etc. This also extends to Europe too because Italia likes their spaghetti and meatballs, haha. It’s so bad when any postal companies fail to deliver things properly.. Especially when the delivery man/woman puts the package in front of the doorstep instead of somewhere more on the side so people won’t see it and steal it ;~;. /rant. There are options to have delivery instructions on FedEx/UPS though :S. Even USPS has it too! Hopefully the whole delivery issue gets sorted out asap! Are you bringing your car with you sometime later on or you’re leaving it in so cal? I try to make my recipes use whole foods instead of the processed ones, so I’m really glad you’ve noticed. 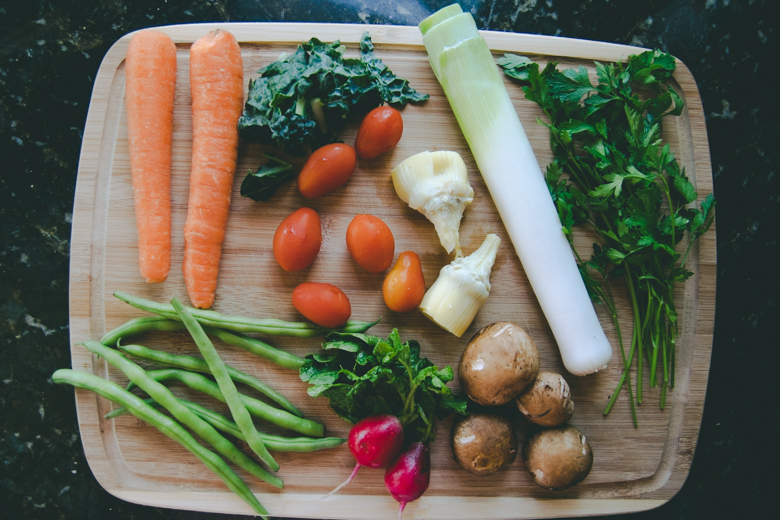 🙂 Although frozen food gets a bad rap, frozen vegetables (given that you read the ingredients are just the frozen vegetables) are just as healthy as the fresh ones! It’s often cheaper to buy them too & they last longer (duh, ’cause they’re frozen!) so that makes my recipes cheaper too! Absolutely! I’ve so far only had an issue with FedEx since moving here, but every company has its fault including the government’s. It finally got sorted out & I’m sleeping comfortably on my mattress from Costco! I’m not bringing my car at all while I’m here. There’s really no need to since I walk to school, there are two lines & 4 stops really close to me so I could pretty much go anywhere (including the airport & into the tristate area via Amtrak!) without a car. I walked to Chinatown the other day with my friend without even realizing we were headed that way. Boston is a fairly small metropolitan. Definitely couldn’t walk to Chinatown from UCLA! I’m so sorry that FedEx has goofed up with the deliverance of your bed. I hope that it has been delivered, and you can definitely sleep soundly on your own bed. When I first moved into my own apartment, I was given the option of either sleeping in my apartment on the first night, or sleeping at the house. I chose the former as I couldn’t stand this one person. Needless to say, my bed was at the house and I was at the apartment and slept on the floor (I’ve slept on floors before at my mother’s place). It wasn’t that bad! But from your description of where you’ve slept, YIKES! 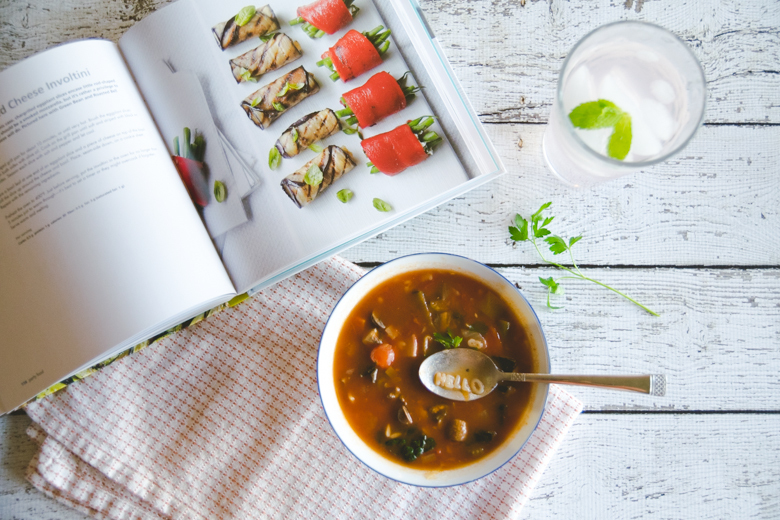 I love reading about your adventures and seeing old recipes coming alive. My favorite soup so far is the Weight Watchers vegetable soup. I haven’t tried any other soups except my own chicken vegetable that I made at my apartment one December with Organic Carrots (that was the bomb!). I may have to ask Tristan to take me to the store to get the ingredients for yours. If you asked me what my ultimate culinary specialty is/was? I’d probably have to say my dad’s or rather my Uncle’s recipe named Chicken Wilbur and Ranch Chicken. I have even made a Subway knock off salad which is “Buffalo Ranch Chicken”. Thank you, they did finally deliver it when I got home from celebrating Josh’s birthday in New Haven. Sleeping on the floor is never fun unless of course, you prefer it for some reason. My back is really sensitive; I have this curse & blessing too: I can fall asleep anywhere in any position, but it doesn’t mean I won’t be sore when I wake up! If you ever make my soup, be sure to use only vegetables you’d like to eat. I kind of loaded it with tons of vegetables because I really wanted to make it hearty, but as you know, vegetables are naturally low in calories & full of great health benefits so if you really must choose 5 ingredients, choose: onions, carrots, kale, tomatoes, & the beans. The alphabet pasta is really just for fun. 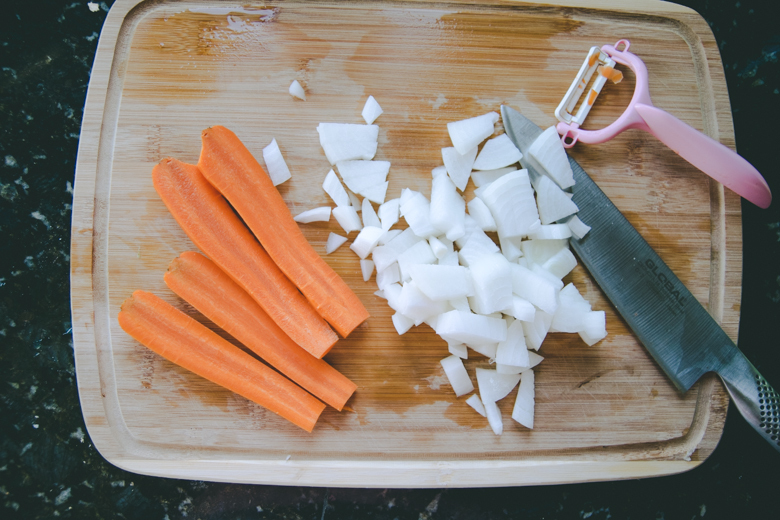 Most of those vegetables you can find frozen too so you can reuse them & save money. Or you could buy the fresh ones, wash them all up, cut them, & freeze them. Just be sure to use them within a few months. I haven’t had chicken in a while, but even if I did, I wouldn’t be able to eat your culinary specialty unless your ranch was made with dairy free ingredients! 🙁 Since 8th grade, I just stopped being able to eat ranch & I used to love it. It’s okay though because it’s so unhealthy! There is a really neat avocado “ranch” dressing that’s vegan that might be good over chicken. I saw it on Pinterest somewhere…. baha you’ll just have to go searching for it. I love Pinterest for recipe ideas! The soup looks so appetizing 🙂 I’m a big foodie too and love cooking. My favorite dish would be any vegetarian Indian spicy food. I love Indian food! I only have one Indian inspired recipe & I’d love to add more. Perhaps a masala recipe will be in the works soon. One with pumpkin because it’s well, pumpkin season! I hope you give my recipe a go. If you do, share with me your results & how you liked/hated it! Yum, that soup looks good! I like that your recipe says to mix it with your favorite veggies 🙂 It’s nice when it’s easy to customize a recipe. I can’t believe FedEx didn’t do something as simple as ringing the doorbell! How else are they expecting you to know it’s there? I hope it’ll be there when you get back from your trip! My specialty is probably cookies and cakes/cupcakes 🙂 I can cook, but my husband tends to do it, so we have a nice split. He does the savory dishes, and I handle the sweet ones! haha thanks, Cat! 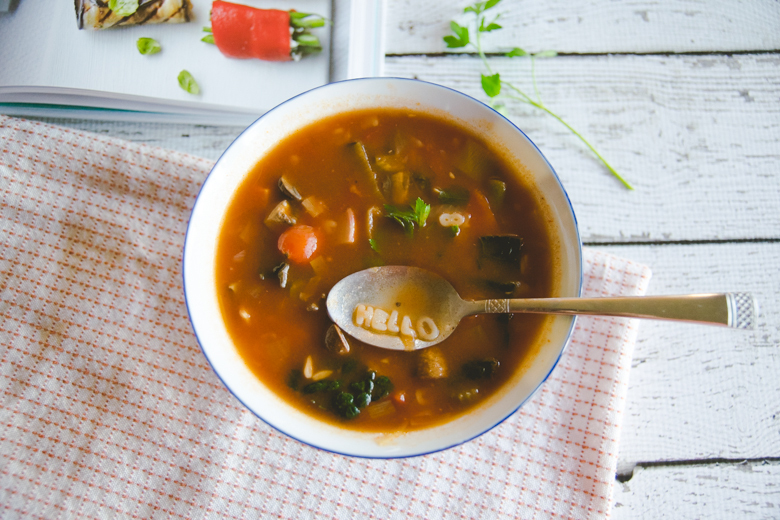 I know not everyone is a fan of radish or artichoke, so I felt like the best type of vegetable soup is one that is full of vegetables you really like! My recipes are more of templates for people to be inspired by rather than following them word for word (but they can of course if they like – just don’t blame me if you don’t like the baked green mussels recipe when you never liked mussels in the first place!). FedEx……….the never ending struggle. It finally arrived, thank goodness. Only took a bunch of angry e-mails & phone calls to get through to them! I haven’t made noodles in a long while. I think it’s time I start it up again. I would have to say my speciality food is anything italian. I like making pizza, and pasta. I think my specialty is chicken enchiladas, but they made me sick, so I wish to not make them anymore. I wish to learn and master Chicken Cordon Bleu, something I love to eat, and lately I’ve bee playing around with allergy-free recipes. I’ve mastered smoothie-making, and I’m working on mastering allergy-free (…basically vegan, but more strict) ice cream-making. I feel like I’ve asked you this a few times before, but what are your allergies because I know you have a lot & some of them aren’t fairly common. I know you’re lactose intolerant, but you could make enchiladas that won’t make you sick. Try using bell peppers, onions, & corn instead of chicken. Use a nice tomato sauce for the enchilada sauce & sprinkle vegan cheese over it if you miss cheese. Try using a spinach or whole wheat tortilla instead of the flour or corn ones. That right there is the ultimate low calorie, vegan, & really healthy enchilada. I love making vegan recipes because it’s a lot more challenging than making meat centered dishes. Last year I made a turkey for the first time & it was the best turkey my family has ever eaten. Anyway, I’m sorry your settling in was a pain. I’ve only moved from one neighbourhood to another one a mile away, and I considered that to be a major pain. Ergo, I can only imagine how much crazier it is moving across a large country, or even worse, overseas! Oh, you mean…processing? As in throwing things into a food processor? I just bought a mini one from KitchenAid & it’s adorable. I love it! Easy to clean & I love that I can make so many things that I couldn’t without it. Otherwise, using a knife to chop & slice food isn’t a challenge. Realistically, baking is more challenging than cooking since it’s an actual science while cooking is a mix of science & art. Well, so is baking, but okay, let’s just agree that both cooking & baking are a science & art, but baking is more challenging. Macarons? What a friggin science challenge!!!!! I couldn’t make them for a few days because it was too darn humid outside! My cousin moved overseas & she didn’t have much of an issue. She bought all of her new furniture there & has a lot less cooking things than I do. It all depends on how much stuff you have really! Out of my entire family (extended included), I’m the only one who cooks as extensively as I do. & I love doing it so fancy family dinners at my house will be in my future! Sorry to hear about the terrible FedEx experience! 🙁 I haven’t had a good experience with any of the mail carriers, ugh. USPS did something similar to me where they dropped off my expensive (>$100) package right in front of the door of my apartment complex without even bothering to ring the doorbell. Yes, I was home. It baffles how little they try sometimes! I understand that their job is hard, but it is still their job and just because your job is hard doesn’t mean it’s any reason to not give it your best try! But, moving on! I’m glad your move to Boston was peaceful (save for the FedEx mishap!) & here’s hoping that your bed will be there by the time you get back from your trip! TBH, I don’t think I’ve ever had alphabet soup. I’m pretty darn tempted to try and make some for myself, but I’m not much of a soup person. It looks great, though! I bet it tastes great too. I’m more of a baker than a chef. I’d say my specialty is macarons and this is only because I’ve literally made 20-30 batches of macarons since I learned how to make them! This is probably more macarons than any person will ever need to eat in their entire lifetime. I’ve only had a horrible experience with FedEx, but I’m sorry to hear about your bad experience with USPS! They honestly probably don’t get paid enough & care so little about their job that they’re all, “whatevs.” There are some postmen that are still really nice though. I’m on a first name basis with my UPS guy & I’ve only been here for 18 days! Not a soup person!?!?!??! WHAT? LIKE NOT EVEN NOODLES?? I don’t even understand this. 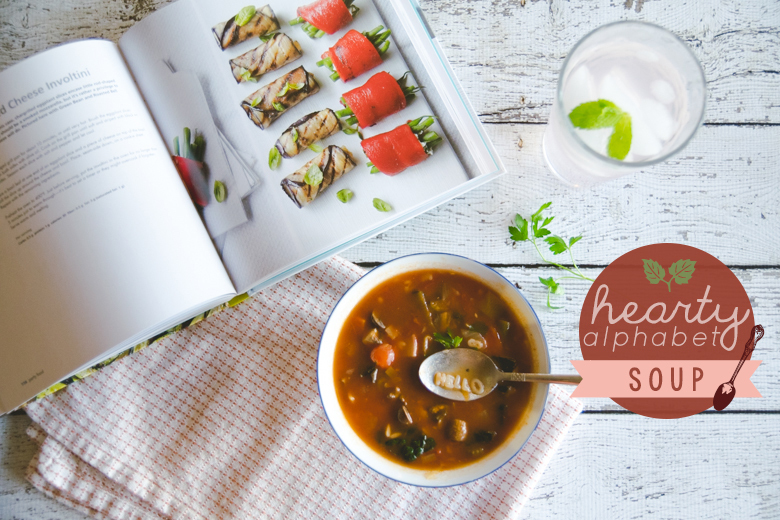 It’s probably the first real culinary meal that H. sapiens made: soup! Ahhh teach me how to make macarons & gimme a recipe. FedEx and UPS can be such a pain sometimes. My culinary specialty is making spaghetti sauce, if that can even be considered one. You take beautiful pictures by the way. I’m going to move soon as well. I think that changing home will drive me crazy. Despite the missing mattress, you’ve handled stress pretty well! In a situation like this, a bowl of cute pasta with veggies is a good idea. Haha thank you! Where are you moving to? Do you think I could post this recipe in the Authentic Italian Recipes board on Pinterest? HAHA kidding, I wish. I need to make an authentic Italian dish so I can pin it there! I’ve always wanted to try alphabet soup and at first I thought it’s a canned soup with alphabet shaped macaroni or something LOL turns out it’s alphabet noodle? Hm… that’s… interesting. I’ve never seen “alphabet soup” here so I had no idea. ugh I can imagine the whole moving thing being such a trouble… but congrats on moving to boston, I guess? I’ve never been to boston before but I believe it’s a nice place (pssh, a lot nicer than where I live, that for sure). Noodles are my specialty indeed! 🙂 I love all sorts of noodles! Pretty much all of them haha. I think my favorite is udon though. I love Banh Canh noodles too, but I love udon more than the Banh Canh noodles which are only really used in one dish while udon is more versatile (fried, cold, or in a soup!). It would be fun to have you as a neighbor. I have a problem with portion control so I’d be at your door all the time…or my door would be open to have you over to eat all my food! Hmm what’s the name of this dish? It must have an official recipe name right? I love fish balls hahaha I think I just love any type of protein shaped ball thing like meatballs, turkey balls, fish balls, squid balls, tofu balls, whatever! Not all noodles are bad. Don’t tell me you’re going down that paleo diet road! When you cut out carbs from your diet, your body will actually start eating itself so that’s why people can lose weight so quickly on low-carb diets. I’ve done it! But as soon as you start eating carbs again, your body is like … happy again & gets plump right reallll quick. Don’t be unhappy. Treat yourself every once in a while. Noodles are delicious & some of them (soba!!!) are really healthy for you! Just eat lots of veggies in the meantime. 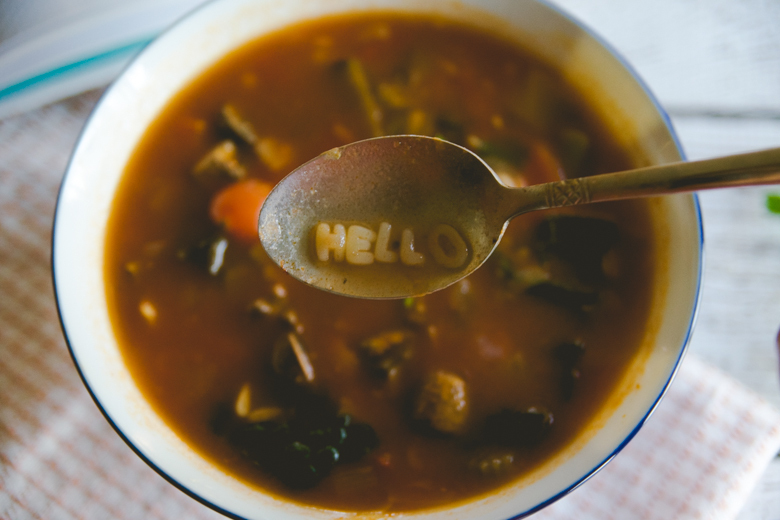 Alphabet soup does come in a can from Campbell’s! I love their canned soups, but I prefer to make things on my own (no processed food!!!). Macaroni is a type of pasta which is often classified as a noodle. So, the alphabets are actually a pasta, but it’s also a noodle. We think of noodles as long strips of things, but it can realistically be any shape! Yes thank you! I love it out here! I only want to go home for my family & easy access to good Asian food, but it’s lovely in Boston. The people are so nice & the architecture….wow….absolutely gorgeous. My building was built in 1860!!! HISTORY! I love history, I love places with charm & this whole area…ahhh sooo charming. I’m gushing, I’m not even going to apologize because I’m in love with this city. It’s really underrated (& I get why, it’s no New York), but it’s worth a visit if you ever do an East Coast American tour.